As a matter of fact, not all the vehicles sell the same. There are some of them that make a huge sale while others fail to meet the automaker’s ambition. However, in the regard of the new 2019 Ford Edge Titanium, selling is an awaited statistics. 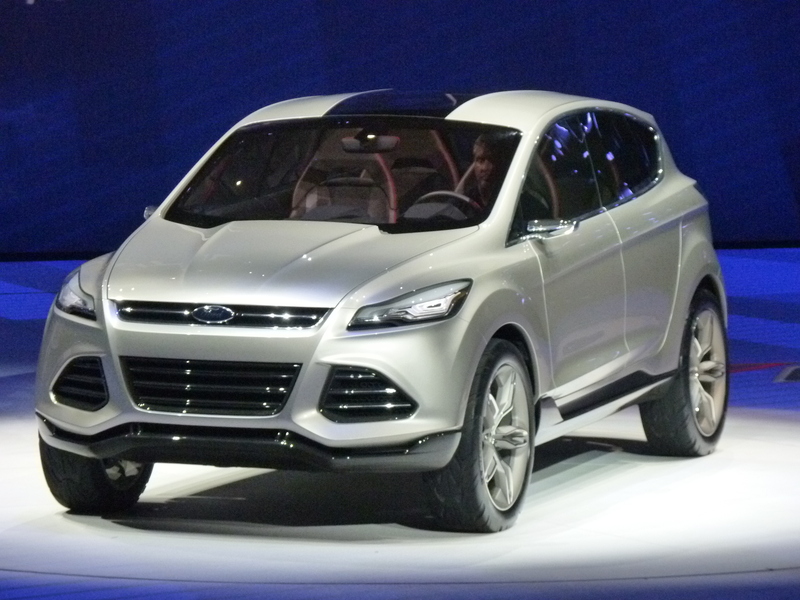 This SUV falls in between the Ford’s smaller model Escape and the Ford’s bigger model Ford Explorer. When we come to popularity, there are several things to bear in mind. The SUV sells about 10,000 examples in a month. However, if you compare the sales to those of Explorer and the Escape, there’s lack of correspondence. Each of the two SUVs sells almost twice as much. To explain the disparity, you, first of all, have to check on the size of the SUV. There may be some arguments that midsize SUVs are the ultimate wingman on dealer lots. If for any case you met the edge and worried about the price, then you need to be sure that there is another smaller model, the Escape that really sells at a lower price. In 2019, the edge has been refreshed with a new look which works as the main factor when it comes to selling. The main addition is the safety features and several other top-notch features. If you took the time to compare this SUV with other midsized SUVs in terms of price, you will realize that there’s a lot to like about it. The 2019 Ford edge Titanium has a relatively lower starting price. It retails at $29,995. Additionally, it has a higher base price of $38,550. Its tested price comes down to $47,775 with all-wheel drive and a few additional option packages. When compared to its smaller brother Ford Escape titanium, the SUV tops the park by about $10k more. I bet this is what makes it very difficult to sell the Ford Edge when Ford Escape is around. 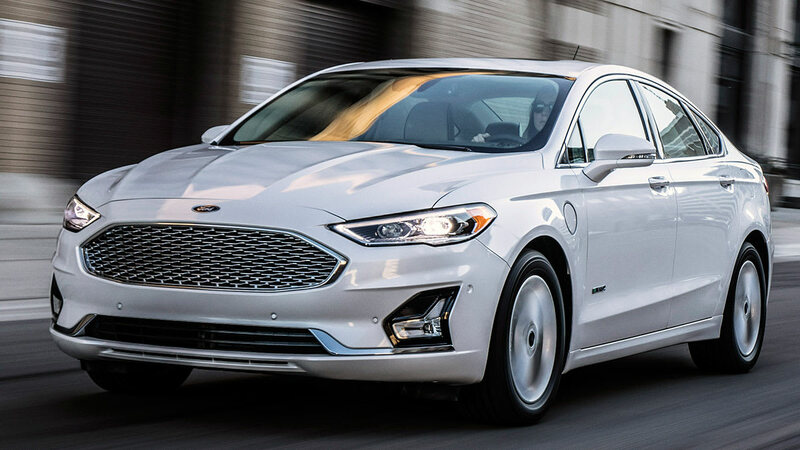 Most people argue that if for any case you have rode on Ford Fusion, then you have also experienced what it feels like to ride Ford Edge. They have almost similar dashboards, switchgear, materials and center console. One good thing about the brand new 2019 Ford Edge titanium is that the cabin and the controls are well designed. They are also very straightforward for ease of use. If you care about the elbow, the head and the legroom, then you must know that this is has more of it. The other things that people feel is that sitting in any of the seats in the vehicle, you will realize that there’s not a single seat that feels tight or encroached upon. In other words, in terms of comfort, Ford Edge scores 6/10. I know safety is at the top of every driver’s priorities. The good thing is that ford has joined hands with stakeholders in the market to include a bunch of new and advanced safety features. They have added safety features as standard equipment on some of the models including 2019 ford edge titanium. The first appearance of Co-pilot360 comes in ford Edge 2019. This features a blind spot warning beams. The model also contains other safety features including adaptive cruise control with stop-and-go and lane centering controlling technology. The other one is post collision braking and evasive steering assist. Almost everyone is looking for a fuel efficient vehicle for their entire activities. In regard to 2019 Ford Edge Titanium, I will not say that it is 100% fuel efficient but I would give it 7/10 scores. It runs with two fewer cylinders but this doesn’t means it’s palpably the most fuel efficient SUV. It is rated to use a gallon of fuel to take 21 miles in the city. It may also take 28 in the highway and 23 combined. However, comparing to some of the SUVs of the same size and offering the same functionality, you will realize that it is very fuel efficient. It also consumes less fuel when compared to the smaller Ford Escape. The two uses a very similar engine but there’s a slight different on fuel consumption. Despite starting talking about fuel before we touch on Performance, what influences your decision the most is performance and handling. 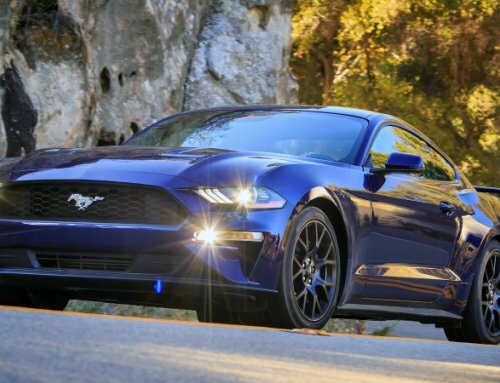 The best feature in terms of performance is turbocharged 2.0 Littre four cylinder EcoBoost engine. As I had already stated, it works on two less cylinders but this doesn’t really affect the power. Its horsepower is 250. On the other hand, the torque is 280 pound-feet at a low 3,000 RPM. The vehicle also offers the suspension default state which is well balanced and at the same time offers a comfortable ride and a controlled handling. However, there are some of the people that say this vehicle gave them a hard time to drive at first simply because of its outermost corbels which they think are difficult to place. 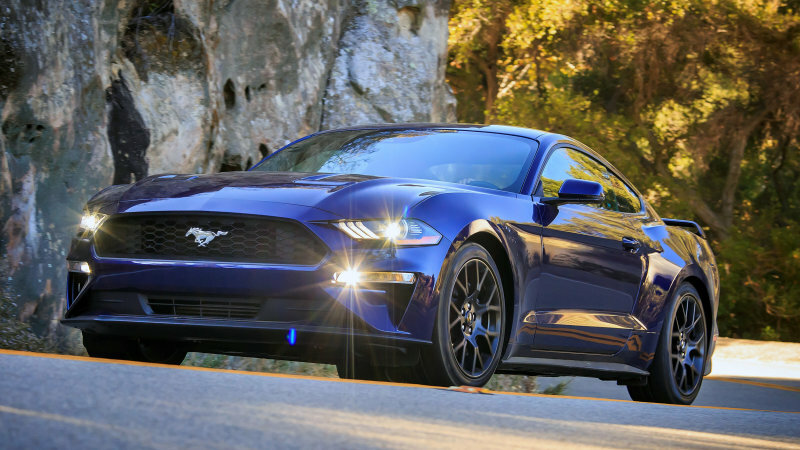 Some of the edge models also feature sport’s powerful, twin-turbocharged 2.7 liter V6 engine. I bet you already know how sensitive Ford is at implementing technological advancements at each level. 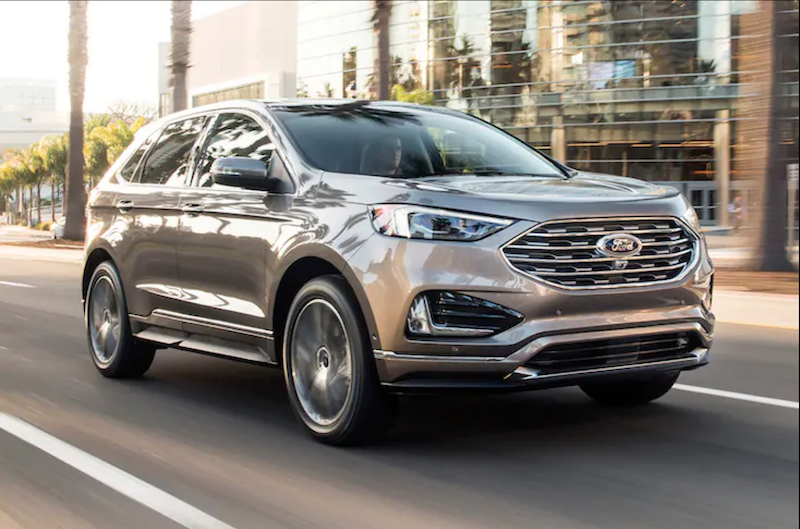 In this 2019 Ford Edge, technology and connectivity features have been well established. The automaker is continuing to go in the right direction to make sure everything works as people in the market expect. No one wants to feel like they are driving a car without top notch technology. The vehicle has the latest version of Ford’s sync 3 infotainment systems. This comes with navigation standard in the Titanium trim level. The other thing to note is that this has a simple and an easy to use user interface. 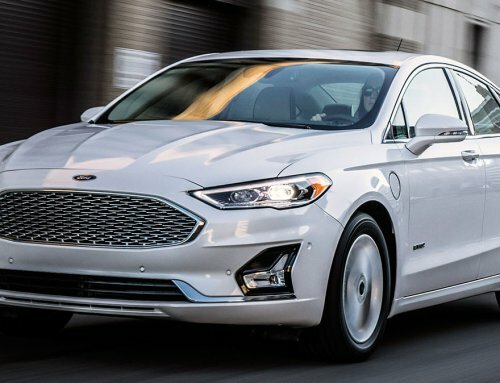 Several other special features to back the infotainment system are wireless charging and the FordPass connect 4G WI-FI. It also comes with heated front and back seats. The above is some of the information that you should know about 2019 Ford Edge Titanium. There’s a lot to know about it and a lot more to come and that’s why am thinking these are the reasons why it is a tempting choice.